Most swim to American Sardine Bar for the small but well-curated craft beer list that touches on almost every style of suds. 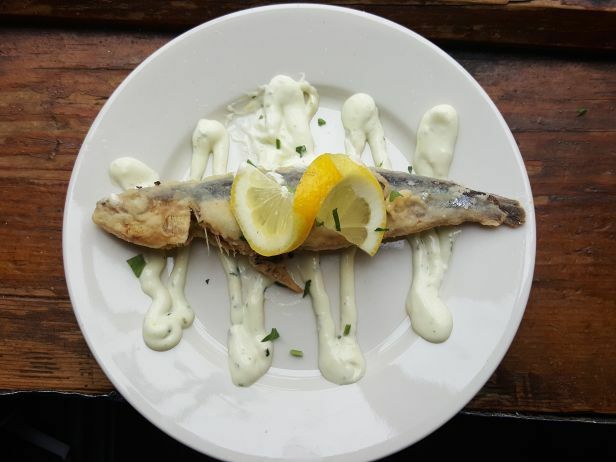 But the name of the bar is a clue that there’s some food as well, namely sardines prepared four ways: sauteed, grilled, a la plancha or fried. (If you count sardines on a sandwich, the number rounds up to five.) The small but flavorful fish go great with a cold saison.